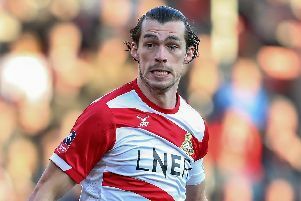 Club captain Andy Butler believes Doncaster Rovers did not get enough credit for the way they bounced straight back to League One under Darren Ferguson. The 34-year-old also feels the club - after consolidating their place back in the third tier last season - is well positioned to mount a play-off push this term. Doncaster are currently searching for a new manager after Ferguson resigned following last season’s 15th place finish. The Scot said he had “no alternative” to walk away after failing to see eye to eye with the board about the playing budget required to push Rovers into play-off contention. But he leaves the club on an upward curve following their fall from grace from the Championship and catastrophic relegation to League Two in 2016. And Butler is of the view that Ferguson and his team did not get enough credit for the way they responded to that relegation - by securing promotion with five games to spare. Rovers ought to have won the League Two title but finished third after failing to win any of their last five games. Butler said: “Not many teams have gone down and bounced straight back up so that was a big positive. “I don’t think we got much credit for that - probably because of the way the season finished. “We’ve come into a higher division and held our own.